DEERFIELD, Mass. 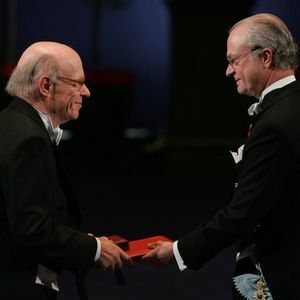 (AP) — Irwin Rose, a biochemist who shared the 2004 Nobel Prize in chemistry for discovering a way that cells destroy unwanted proteins — the basis for developing new therapies for diseases such as cervical cancer and cystic fibrosis — has died. He was 88. Rose died in his sleep early Tuesday in Deerfield, Massachusetts, said spokeswoman Janet Wilson of the University of California, Irvine, where Rose had been a researcher.